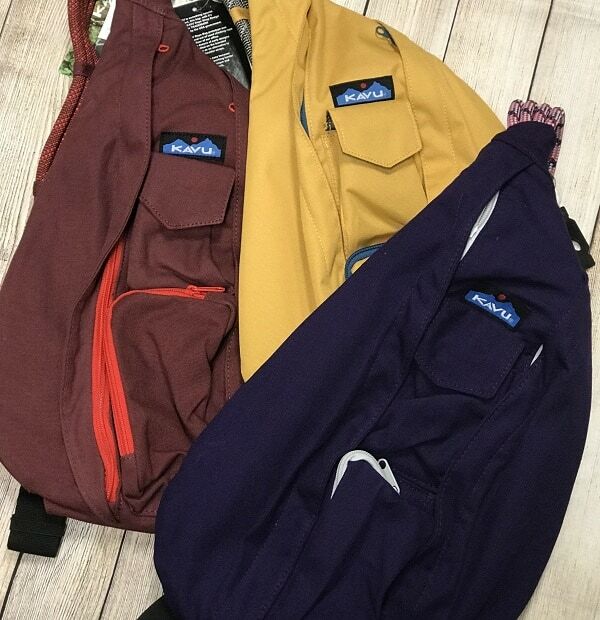 Shop a big selection of KAVU Rope Bags in solids and prints at Amazon! Some styles are half off! KAVU’s Rope Bag is the most stylish way to store your daily carry. The teardrop shape and signature rope straps are super unique and ergonomically designed to fit snugly to your body. Two vertical zip compartments offer plenty of space for books, bottles, or cameras and a single interior zipper pocket, which is great for keys or any other secret goodies. The outside of the bag is fitted with zipper and velcro pouches, for quick access to smaller gear like smartphones, charger cables, or makeup. Remember you get FREE Shipping on Amazon when you spend $25 or FREE shipping with Prime. Grab a FREE Trial of Amazon Prime! As a reminder, Amazon prices can change at any time. This price was current at publishing time. Be sure to confirm the price before purchasing to ensure this deal has not changed. WHAT’S TRENDING: Check out our Pinterest Content including Summer Ideas – Hacks, Recipes, Crafts and More on Frugal Coupon Living. Also try Amazon Prime which includes FREE 2-Day Shipping, FREE Kindle Books, and FREE Video Streaming! Find this and updated daily deals, recipes, crafts, and seasonal content on Frugal Coupon Living. Receive this and other in your inbox. I am a wife, mother, daughter, blogger, teacher, friend – a woman of many different hats. My delights are my husband, my five kids, reading, shopping, and spending time with friends and family. I am a Florida girl transferred to the heart of the DC-Metro area. I'm glad you're here and look forward to saving money, putting together the perfect look, perfecting recipes, making fun crafts, and celebrating the seasons! Daily Deals – Don’t Miss One!